A new interview book with Pope Emeritus Benedict XVI will be on bookshelves this September. According to Italian publication Corriere della Sera, “Final Conversations,” composed of several interviews, will be released Sept. 9 worldwide. 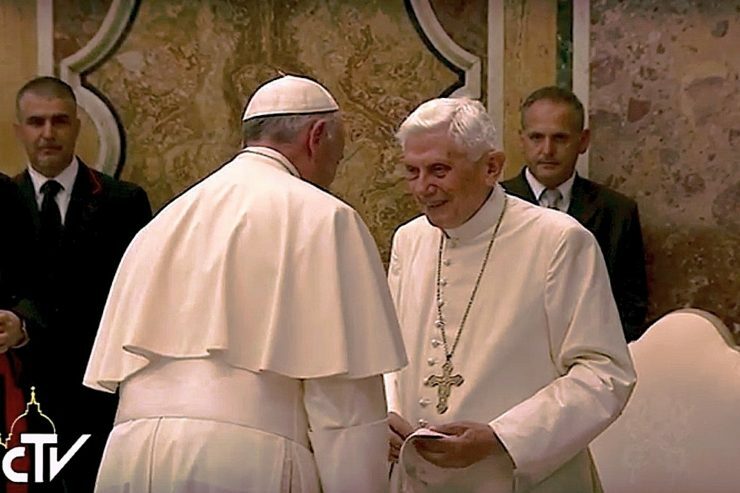 Benedict XVI granted several lengthy interviews with German journalist Peter Seewald shortly after having resigned is about 240 pages long and will cover the most significant stages of Ratzinger’s life: before election to pontificate, during, and afterward. Sources confirms that the work which was done months after the German Pontiff’s Feb. 28, 2013 resignation, will shed light on Benedict’s thoughts on Francis, reform of the Curia, and his resignation. He also speaks about himself, including his faith, private life, weaknesses, the controversial issues during his pontificate and his ultimate reason for resigning. This work will mark Seewald’s fourth book on Benedict, starting even before he had been elected and now afterward.